It’s Friday evening, one day before one of the biggest Crossminton tournaments, the Slovenian Open. Normal players will prepare for the taff matches on Saturday and Sunday, but not these guys. 10 players from Germany, Poland and Japan studied the Crossminton Rules to become official ICO Match Umpire. 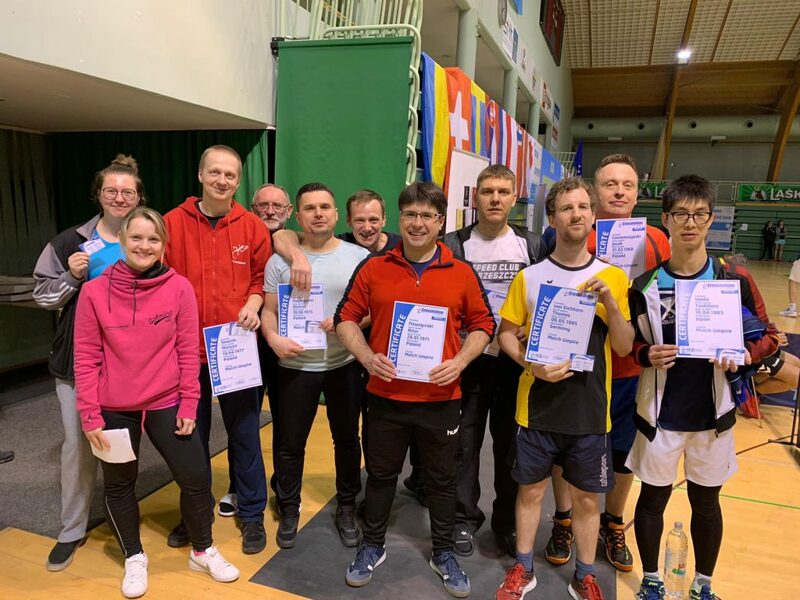 3 hours of fun and theory with Instructor Jasmina Keber on Friday evening and 2 umpired matches during the Slovenian Open later, all players passed the theoretical exam and practical test! If you want become umpire as well, don’t hesitate to register for the next course in Hannover before and during the German Open! Just click here and register.